With 2017 in the history books, we’ve been back at it again, finding the best new mattresses to recommend for 2019! In this guide we’ve included all our old favorites that still make the grade, along with a few newcomers! Read on to get the best mattress for 2019, find our expert reviews and also some buyers tips and and other info to make your purchases much easier. In Sonnet 27, William Shakespeare proclaims, ‘Weary with toil, I haste me to my bed’. The Bard wrote about the nurturing effects of sleep years before scientists could explain why it was so essential. Still, we’ve always known that it’s absolutely critical to health! So, whatever your bedtime reading is these days, check out our top 12 mattresses reviews of 2019, and learn about their importance in obtaining a refreshing sleep. In 2019, scientists are currently delving into the science behind the importance of a comfortable sleep. We know more than ever before about how the mattress is the foundation of sleep, and an important part of the quality of sleep that you achieve. Given that the average person spends about 8 hours a day on their mattresses, it is without a doubt the most important piece of furniture in your home! The Queen Size Leesa Mattress is constructed of three layers of foam, totaling 10 inches high. Advertised as a supportive memory foam mattress, it comes with a 100-night trial and a 10-year warranty. Designed by the craftsmen at Leesa, the Queen Size Leesa Mattress combines a solid core base for support with memory foam for pressure relief and an exclusive Avena™ layer for air flow for a cooler night’s sleep. Avena™, is considered a latex alternative which mimics its properties for a more durable support factor. Leesa cites their own testing against latex to suggest that Avena™ has a higher density per cubic foot than latex, thus providing a longer lasting supportive layer. Avena™ benefits include being fire-retardant and hypo-allergenic, which is not true of latex! It’s also extremely durable. It doesn’t crumble or crack like latex, is produced in a eco-friendly manufacturing process, CertiPUR-US® Certified, made in the USA and is 100% recyclable. The Leesa Mattress, Queen, 10-inch Cooling Avena™ with contouring memory foam is a luxury mattress that competes with the more expensive latex brands. Listed at $849, the Queen Size Leesa Mattress, constructed of three unique layers of foam is a support mattress that offers enough give for pressure point comforting. Back sleepers will appreciate the support qualities of this luxury queen size mattress, but it may not be as giving and comforting to side sleepers because of its supportive nature and foam density. Sleeping styles appear to coincide with consumer reviews on this 3-layer foam Queen Size Mattress by Leesa, with back sleepers rating it 5 out of 5 stars, while others, who might be side sleepers rate this luxury mattress offering as too hard with ratings as low as 1 of 5 stars. Back pain sufferers often rated this 3-layer foam mattress highly supportive. Another negative noted by side sleepers is that the mattress does not provide a cooling sleep as advertised. The Leesa Mattress, Queen, 10-inch Cooling Avena™ Contouring Memory Foam Mattress is competing in the luxury space with latex mattresses that have a much higher price point. Customer satisfaction varies widely on comfort according to sleeping style, with most satisfied at the price point. Considering the pros of Leesa Mattress, Queen, 10-inch Cooling Avena™ Contouring Memory Foam Mattress. It is made in the USA. It has 3 layers of foam that offers support. It is hypo-allergenic and non-toxic. It has a 100-night sleep trail, and a 10-year warranty. It has very positive reviews from back sleepers and those suffering from back pain. We rate the Leesa Mattress, Queen, 10-inch Cooling Avena™, as a fair value in the luxury mattress category. Our overall rating for the Leesa Queen Mattress, 10-inch Cooling Avena™ Contouring Memory Foam Mattress, is 4.5 stars out of 5 stars. The Queen Size Dream Foam Mattress by Ultimate Dreams is a Talalay latex mattress with a bamboo cover that is 10 inches high. This three-layer mattress features 3 inches of Talalay latex for a contouring texture that conforms to your body shape surrounding pressure points for orthopedic support. Topped with a quilted bamboo cover containing 100% biodegradable fibers with 1.5 inches of super soft reflex foam. Bamboo is touted as offering more absorbent properties than cotton offering a drier, cooler night’s sleep. The super soft foam reduces pressure on capillaries allowing for even blood flow throughout the night. Ultimate Dreams claims that the reduction on capillary pressure allows for an even blood flow throughout the night, preventing tossing and turning. With an even distribution of invigorating oxygen, this mattress is billed as offering a refreshing revitalizing sleep. The comforting soft foam and bamboo covering is supported by 5.5 inches of a high-density foam for deep support. The Queen Size Dream Foam Mattress by Ultimate Dreams carries a great retail price, placing it firmly in mid-range of memory foam mattress choices. Made in the USA by a family owned company in their 14th year, the Queen Size Dream Foam Mattress by Ultimate Dreams is only sold online. It is considered a medium firm mattress which is an excellent selection for side sleepers, although back sleepers have rated the support of this mattress as superior in support. The mid-range price of the Queen Size Dream Foam Mattress by Ultimate Dreams directly competes with high end latex mattresses based on customer satisfaction reviews. At less than one third the price of luxury latex foam mattress, the Queen Size Dream Foam Mattress by Ultimate Dreams ranks high for comfort, support, coolness and durability across all spectrums of consumers who have purchased this mattress. The Queen Size Dream Foam Mattress by Ultimate Dreams considers all the crucial elements of a good night’s sleep, comfort, support, and coolness. Nontoxic and hypo-allergenic, this constructed in the USA mattress uses high quality materials to accomplish a superior quality mattress. Based on the quality construction, value versus price, and 5 of 5-star ratings of those who sleep on this Queen Size Dream Foam Mattress by Ultimate Dreams, we are rating this mattress 5 out of 5 stars. This mattress has received praise from press, consumer testing companies and sleepers. Casper was named one of the most innovative companies of 2017 by Forbes, Time, Fast Company and others. Casper employs a team of over 30 full time research and development experts who are constantly striving to improve their product based on the newest technologies, manufacturing techniques and customer feedback. The Casper Sleep Memory Foam Mattress has a 10 Year Warranty and a 100 Night Trail with free returns. Sleep on the Casper Sleep Memory Foam Mattress for up to 100 nights, if you are not satisfied, return it with free pick up from Casper. This innovative company is the first successful digital mattress brand, now signing contracts with National Chains like Target to feature their award-winning mattress in store. The Casper Sleep Memory Foam Mattress with multiple awards for innovative design and an environmental friendly foam. The engineering of the Casper Mattress begins with their Certi-Pur foam, that is certified to be free of ozone depleting chemicals and to meet regulated low emission standards. The smart design of the Casper Mattress features an open cell top layer that uses the principles of convection and conduction that causes heat to flow away from your body as you enjoy a cool night sleep. The high-quality Casper Certi-Pur Foam maintains its shape and comfort night after night. The 4-layer foam construction of the Casper Mattress is researched to have just the right amount of bounce and provide a springy, cushiony balance to engulf your body in a comfortable cool night’s sleep without undue pressure on your cardiovascular system. The Casper Sleep Memory Foam Mattress is rated #1 by consumers for comfort, value and durability for any sleeping position. We rate this as the Best Overall Mattress Value of 2019. Natural Escape has received 5-star reviews by side sleepers. My Green Mattress manufactures their all-natural mattress in suburban Chicago. The Natural Escape by My Green Mattress is designed to combine the support of a traditional coil spring mattress with the comfort of natural latex. The Natural Escape by My Green Mattress features a cover made with natural wool quilted with organic cotton. The top layer is composed of 3 inches of natural Dunlop latex for durability and comforting responsiveness for side sleepers. The supporting system of the Natural Escape by My Green Mattress is made with a heavy-duty coil system engineered for maximum support. Slide sleeps put more pressure on joints which are embraced and comforted by the extra support layers built-in to the Natural Escape by My Green Mattress. The Natural Escape by My Green Mattress rates high for comfort, support, value, heat transfer and durability. Mimicking the 100 Night Sleep trail of the popular Casper Mattress, the Natural Escape by My Green Mattress is in line to challenge for the top-rated mattress of 2019. We rate this Natural Escape by My Green Mattress as the Best for Side Sleepers Mattress of 2019. Shilow 12-inch by Sleep Innovations is highly rated for bigger body sleepers. The Sleep Innovations Company tailors their mattress models to body weight. With a full 12 inches of memory form, the Shiloh 12-inch Memory Foam Mattress offers consistent body support from head to toe keeping the body fully supported. 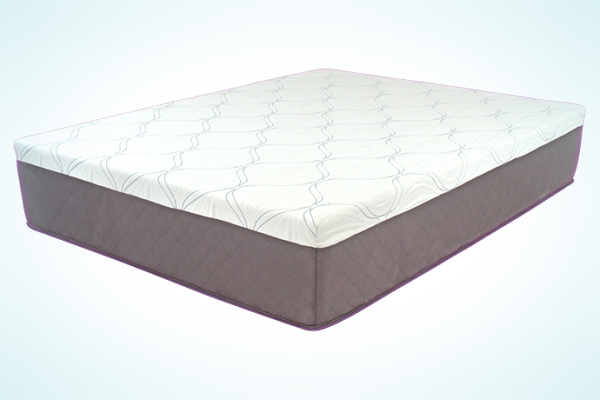 Sleep innovations believes that the 12 inches of memory foam manufactured in the USA using environmentally friendly processes, offers the proper amount of bounce with staunch support that contours to larger bodies. Sleep Innovations uses different layers of memory foam to accomplish the support and comfort of their mattresses. In the Shiloh 12-inch Memory Foam Mattress, the support is provided by 9.5 inches of their trademarked Support Plus foam. The top layer of the Shiloh 12-inch Memory Foam Mattress is made up of 2.5 inches of the patented SureTemp Memory foam. The two layers provide the support and lightly cradling comfort that doesn’t sink in this medium feel two-layer mattress constructed for the heavier person. The Shiloh 12-inch Memory Foam Mattress is rated 4.5 Stars by Consumers who already own this memory full mattress. We Rate the Shiloh 12-inch Memory Foam Mattress by Sleep Innovations as the 2019 Best for Heavier Sleepers Mattress. Sweetnight 10 Inch Mattress is a 3 Layer Foam Mattress, made in China, features a 3 Zones design with motion isolation. The supportive zone of the Sweetnight 10 Inch Cool Gel Memory Foam Mattress features a 3” high density foam for deep down support. The middle layer is made of a 5” comfort foam designed to ease pressure points while enjoying a cool night sleep on the 2” gel infused memory foam top layer. The Sweetnight 10 Inch Cool Gel Memory Foam Mattress features a 10 Year Limited Warranty on the CertiPUR-US foam used in the construction of this 3-layer mattress. The gel infused layer is said to provide a cool night’s sleep in a cloud like sensation. The support of the underlying 2 layers of different density memory foam supply the firmness to prevent pressure point discomfort during sleep. This mattress is built for all body sizes and sleeping positions and features a knitted cover made from cotton blends. The Sweetnight 10 Inch Cool Gel Memory Foam Mattress is a medium firm mattress that has been rated 5 Stars by consumers for price, value and comfort. We are rating The Sweetnight 10 Inch Cool Gel Memory Foam Mattress as The Best Gel Foam Mattress of 2019. Classic Decker Hybrid and Innerspring 10.5-Inch Mattress combines the support of individually wrapped coil springs with the comfort of memory foam. The Classic Brands Decker Hybrid Memory Foam and Innerspring 10.5-Inch Mattress has a detailed quilted knit cover, corded edge, and knit sides for breathability. The memory foam top, which complies with the CertiPUR-US standards, is a layered open cell construction that provides contoured support for a comforting sleep. The individually wrapped coils of the supporting inner springs move independently to reduce movement sensation and provide an undisturbed rest. The layers of the Classic Brands Decker Hybrid Memory Foam and Innerspring 10.5-Inch Mattress consist of 6” induvial wrapped coil springs, topped by 3 inches of Memory foam with a 1.5-inch quilted pillow top cover. It is listed as a firm to medium firm mattress with a neutral temperature control. It has a 10-Year Limited warranty that must be requested from the Manufacturer at the time of purchase. The Classic Brands Decker Hybrid Memory Foam and Innerspring 10.5-Inch Mattress is rated 5 Stars by consumers for price, value and comfort. We rate the Classic Brands Decker Hybrid Memory Foam as the Best Hybrid Mattress of 2019. This mattress is classified as a medium firm mattress by the manufacturer. This made in the USA Twin mattress is a triple layer constructed mattress. The top layer is a ¾ inch super soft quilting over a 2.5-inch Energex™ gel foam. The bottom layer of this cooling gel mattress offers the support of 8.75 inches of high density polyurethane foam for support and stability. The Arctic Dreams Twin Size 10″ Cooling Gel Mattress is designed to offer a superior responsiveness superior to traditional latex or spring mattresses. Meeting the standards of Certi-PUR US Certified, the Arctic Dreams Twin Size 10″ Cooling Gel Mattress offers both comfort and support for sleepers in any position with its extra plush classification. The Cooling Gel component of this 4.5 star rated mattress, dissipates heat during sleep, providing a perspiration free night of rest. We rate the Arctic Dreams Twin Size 10″ Cooling Gel Mattress as the Best Cooling Gel Mattress of 2019. With T&N Adaptive Foam is made in the USA with the exclusive engineering of Tuft & Needle. This mattress is made in the USA and carries a 10-Year Warranty. Tuft & Needle is a relatively new mattress manufacturing company using their own foam mixture process with gel and graphite for a cooler temperature while sleeping. The Tuft & Needles foam is called Adaptive foam that claims it is soft in comfort with bounce and support. The benefit of their Adaptive Foam is its ability to conform to your body in any sleeping position without causing pressure on body parts. The Tuft & Needle Queen Mattress with their exclusive Adaptive Foam process is 10-inch two-layer foam mattress classified as a medium firmness. The bottom support layer is a 7-inch support platform with a 3 Inch overlay of Adaptive Foam for coolness and comfort. They offer a no risk full refund 100-night sleep trail. Reviews from heavier sleepers are very positive on the firmness and support of this 4/5 star rated mattress. Americana 10″ is manufactured in the USA using two layers of trademarked foams. The bottom layer of 8″ Bio-Core™ offers a sound foundation of sage free support. The 2-inch top cooling layer is made of Bio-Pur™ memory foam. The two layers of support and comfort are covered with a Celliant®-infused cover. Celliant®- is a clinically researched fabric that has shown in clinical trials the ability to increase oxygenation levels in the body, relieve pain, increase comfort, aid in healing and regulate body temperature. Celliant® is a patented process of using micro sized particles of a variety of materials including silicon and aluminum oxide that are woven into the fabric Celliant® utilizes the natural energy of your body and transforms it into a source of energy that is reflected into your body through infrared light and other sources. In clinical trials, participants first noticed the cooling effects of the Celliant® fibers, with most realizing the other effects with more nights of sleep. The Amerisleep Americana 10″ Natural Memory Foam Mattress (California King) is listed as a firm mattress. This larger than King Size Bed with its advances in foam and fabric is our 2019 Choice for the Best California King Size Mattress of 2019. Perfect cloud ranks as a luxury mattress without the luxury price. The Perfect Cloud Elegance Gel-Pro 12 Inch Memory Foam Mattress in King Size is listed as an Amazon exclusive. Made with 4 distinct layers of foam, it is covered with a removable stretch knit cover that can easily be removed for washing. The special knit covering allows air to flow freely to keep the mattress fresh and cool. Mesh Gusset Air-Transfer Technology features a design that will match any bed frame. The King Size Perfect Cloud Elegance Gel-Pro 12 Inch Memory Foam Mattress has a 1” top layer of HD Air Infused Memory foam that sits atop a 1.5-inch layer of regular Air Infused Foam, making a cloud of comfort. The third layer of this King Size Mattress, provides the coolness, with a 2-inch-thick layer of Gel-Pro Memory Foam, listed as the most advance gel infused memory foam. The layers of comfort and coolness of this King Size Perfect Cloud Elegance Gel-Pro 12 Inch Memory Foam Mattress gets its strength and support from a 7.5-inch layer of HD Base Support Foam insuring a weightless night of sleep. Designed in the USA and backed by a 100% Guarantee and a 10 Year Warranty, is listed as a Medium Firm Mattress that Goldilocks said was ‘Just Right”. Dual-Layered – CertiPUR-US Certified – Full XL comes with an industry leading 25 Year Warranty. This Extra Long Mattress has a fabric cover that is 10% Tencel lyocell, and 90% polyester over a dual layer mattress. The top layer of this LUCID 10 Inch Gel Memory Foam Mattress combines a top layer of 2.5 “gel infused, ventilated memory foam, over a 7.5” high density foundational layer that provides support with a medium firm feel. The Gel Infused Memory Foam of this larger than life LUCID 10 Inch Gel Memory Foam Mattress Full XL Mattress regulates your sleeping temperature while easing pressure point discomforts. From the cover to the three layers of specialized foam, everything about this mattress spells a cool comforting sleep. Sometimes, rather than just focusing on the absolute best options, it’s important to know which ones you should absolutely not consider under any circumstances! As always, run screaming when you see flyers advertising $99 mattresses. If these are traditional inner spring mattresses, they will be made with a series of interconnecting springs that bend, break and rust right off the bat. That’s why we don’t recommend them here. Not only do these mattresses offer a short life span (as the springs break and start protruding to the filler material), they offer an uncomfortable sleep with a lack of support. These no name and store branded mattresses are filled with compressed fabric that harbor dust, mites and bugs. Rusting springs and shredding fabrics are not healthy sleeping platforms, either! Don’t just avoid cheap spring options, though! Suspiciously cheap foam mattresses can be just as bad–or worse! Since many discount mattress retailers want to get in on the memory foam band party, they’re now flogging “memory foam” products for way, way less than even the cheapest models we recommend. Stay away! Not all memory foam is created equal. Mattress foam is often made with harmful chemicals, which off-gas into your air over the life of the mattress. By filling the bedroom with toxic chemicals and noxious fumes, they poison you and your family night after night. This is not a healthy way to sleep. So, avoid foam mattresses with unrecognizable brand names and that lack certification for the contents of the foam. It might surprise you, but some of the worst rated mattress by consumers are the old stalwart brand names of the sleep mattress industry. Names like Sleely, Posturpedic, Sealy, and Beauty Rest are consistently some of the lowest rated mattresses by consumers who purchased them. These companies have poured a fortune into advertising to convince the public that they are the leaders in the sleep industry. While they have been advertising, startup mattress companies have been researching and engineering innovations in sleeping platforms. Side sleepers should look for a mattress that offers support. Sleeping on your side puts pressure on your neck, spine and back. A to softer firm foam mattress that will contour to the body is the best choice for a side sleeper. The foam mattress will contour to the body reliving the excess pressure on the neck, spine and back while offering needed support at the contact points. Our Best of 2019 pick for side sleepers was the Natural Escape by My Green Mattress, is ideal for the Side Sleeper. Back sleepers should look for a medium firm mattress. Back Sleepers need support; however, they need the right amount of give in the mattress to cradle the natural curvature of the back. A few nights of sleeping on your back on a mattress that is too firm is sure to produce days of back pain. We have highlighted a few medium firm mattresses in our Best of 2019 Mattress picks above, including the Classic Brands Decker Hybrid Memory Foam. Stomach sleepers should be looking at firm mattress to keep them afloat. Stomach Sleepers are considered the most finicky of sleepers. A too soft mattress will cause them to sink too far into the mattress causing an uncomfortable feeling. Our 2019 Best Pick Amerisleep Americana 10″ Natural Memory Foam Mattress (California King) is a firm mattress that would suit a Stomach Sleeper. The comfort of a form mattress is unsurpassed for Adults as well ae children. The downside of form mattresses for children is that they cannot be soiled with liquids. If you are considering the comfort of a foam mattress for children, a waterproof cover is an essential part of the purchase. When a foam mattress is soiled by a wet spill it will seep deep into the mattress and will be nearly impossible to thoroughly clean and sanitize. As most children sleep in twin beds, one of our Best of 2019 Mattress picks, Arctic Dreams Twin Size 10″ Cooling Gel Mattress Twin Size is an excellent choice for older children who are beyond the bed wetting stage. When choosing a mattress for babies, firmness is the key. Sudden Infant Death Syndrome (SIDS) raises concern that a too soft mattress may be a contributing factor. It is best to err on the side of caution and consider a firm mattress for cribs that are made from chemical free materials and preferably are organic. When a baby becomes a toddler, the single bed is often the next step. A regular size twin bed is the next option; however, you might want to consider that as the child grows you will need to upgrade to a larger mattress. The later teen years may require a twin XL or full-size mattress. A medium firm mattress is recommended by the medical profession to add support to growing spines while sleeping. When buying a mattress for an older child with sleep patterns already ingrained, their input of the softness or firmness of the mattress should be considered. Remember that a too soft bed may hinder proper spine alignment. As with infants, the quality of the materials is of utmost importance. Choose chemical free, allergen free, organic materials for the best sleep for toddlers into their teen years. This issue is one of the most common complaints as aging takes hold. Some people who live with back pain may only get relief at night when sleeping, others may be exasperated trying to sleep. The mattress is an essential element of a good night sleep when hampered with back pain. Medical Professionals recommend support while sleeping. When mattress shopping, firmer doesn’t always equal support. A too firm mattress may put undue stress on pressure points which will cause more pain. A medium Firm Mattress with cooling properties, such as that offered by gel foam mattresses may be an appropriate choice for back pain sufferers. This condition is commonly diagnosed in teenagers, and it is thought that sleeping habits contribute to this condition. In the past a medium firm innerspring mattress was the option; now however, high destiny medium firm foam mattresses are available that provide support and comfort. Hybrid mattresses provide both the support of inner spring construction with the softness, cooling and comfort of a foam mattress. Fibromyalgia is a disease that is characterized by extreme fatigue, insomnia and constantly feeling tired and drained. Doctors recommend that patients exercise, take their medications as prescribed and have a proper mattress for sleeping. Relief on pressure points is a crucial factor when choosing a mattress for those suffering the effects of fibromyalgia. A medium memory foam mattress may be the best choice for fibromyalgia sufferers, it can provide enough support while contouring to the body, relieving undue pressure on joints and muscles. This is an ongoing medical condition accompanied by joint stiffness, pain and swelling. Most of the symptoms of arthritis are more prevalent when trying to get comfortable for a night’s sleep. For back sleepers suffering from arthritis, a hybrid firm foam mattress may be the best choice, offering firm support with a bit of give to cradle joints. For anthric side sleepers a medium soft mattress made with a high-end foam might be the proper choice for cradling aching joints. It can either be an occasional occurrence or a chronic condition. Neck pain is often the result of the wrong pillows, but it could also be caused by a mattress that is not offering the proper neck and spine support. If your neck pain is more than occasionally, a change of mattress firmness may be in order. Without enough support, and the proper pillow height, neck pain can be every morning occurrence. Consider a medium firm foam mattress to offer spinal support with a bit of cradling. Can have many causes, one can be sleeping on your side without a contouring mattress. After your doctor has ruled out other causes, it might be time to dispose of the traditional inner spring mattress which does not contour to your body. This one is annoying to others, it is also an unhealthy condition that can be caused by other respiratory problems. Elevating your head while sleeping may be a simple solution that leads to a more open airway. Using thicker pillow to raise your head can lead to neck and back pain. Enter the Sleep number segment of the mattress industry. Sleep number technology allows beds to be elevated without raising the head with pillow that cause neck and back pain. When choosing a Sleep Number type bed, the mattress type is still a consideration. The available mattress options with sleep number type beds include medium, medium firm and firm. The material choices are hybrid and foam, choices should be made based on all considerations that go along with snoring relief. When choosing a mattress high price doesn’t necessarily mean high quality. The first thing to do when shopping for a mattress is to determine your sleeping needs. Mattress prices vary greatly from the $99 one that you should never choose to the ones that have to be financed over 60 months. You can buy a mattress from innovative companies that offer a wide selection of mattresses under $1000, with some great choices under $500. Specialty bedding choices in the luxury line can range from $1000 to $2000 for the new premium mattresses being made from 100% rubber. 100% Rubber is the new buzz word in the mattress manufacturing industry as companies add more of it to their premium models. The use of latex in bedding has been growing exponentially over the last decade. The new wave in mattress manufacturing is 100% natural rubber. With latex seen as a premium competent, manufacturers are applying technology to the strategic placement of latex in the mattress. The use of latex, once limited to toppers in high end mattresses are now placed to create comfort zones with added support by integrating it with foundational support for springs. The industry has traditionally used blended latex, while high end manufacturers are moving to the use of 100% Natural Rubber, sourced from the original Rubber Tree, Hevea brasilliensis. The movement away from blended latex which often encompasses fillers including clay, affects the life span of the compound. High end mattress models by manufacturers contain more natural rubber and is advertised as offering more comfort, longer life, and being easier to clean. We have endeavored to select the best mattresses in an affordable price range for our Best of 2019 Mattress Picks. The mattresses that made our list of The Best of 2019 all have list prices on Amazon ranging from $299 to $950. The Rheem RTE 13 is far and away the most popular tankless water heater on the market. The brand-new RTEX-13 is the updated version, and it’s even better! This model has only been out a short while, but it’s already proving to be a more reliable, user-friendly unit than the previous one. The Rheem is an ideal choice for a one-shower household, or for two showers if they’re equipped with 1.5 GPM low flow showerheads. This one is a terrific choice if you live alone, and should similarly work well for couples/roommates in one bathroom apartments. The obvious advantage for this heater is the price, which is pretty unbeatable. As the reviewer noted above, it’s extremely small, which again would be an advantage for people living alone or in single-bathroom households. Since it is an electric heater, it will cost less upfront to install, and if it lasts even only a year and a half, it will pay for itself. Previous buyers reported that this one easily paid for itself in less than two years! It has a maximum flow rate of up to 4 gallons per minute (GPM), which is very impressive at this price. Such a high flow rate means you can be taking a shower while someone in the next room washes their hands. Even with such a high flow rate, it’s super compact and convenient, so you can install it in cabinetry, or hidden under the sink! This latest version adds a user-friendly digital thermostat. It has a simple dial and very accurate temperature readout, accurate to within a degree. At 99.8% efficient, you don’t get more intelligent design than this! The flipside of being a small unit means that it is not the most powerful. Without low flow showerheads, two simultaneous showers is out of the question, and given that the 4 GPM flow rate is a maximum, you shouldn’t expect to use dual 2.0 GPM fixtures at once. The Rheem isn’t the best unit for larger households (more than, say, three people). We recommend it for apartments, or for single bathrooms in larger homes where it’s more convenient to add an additional tankless unit than to try and make distant suites run off a central heater. Reviewers say that the flow rating might not live up to expectations in cold climates, especially in larger households. Most agreed that it’s not a unit for the coldest climates. By far the cheapest unit here, with a large flow rate for the price, the RTEX 13 is a great choice for small households and apartments. It could also be made to work in larger households, as long as you are conscientious about hot water usage. Just don’t expect it to thrive if you push it to the limit (i.e., simultaneous showers, particularly cold climates). It’s probably worth taking the 4 GPM claim with a grain of salt, and it’s always good to err on the safe side with your flow rate requirements to ensure proper performance. With all that said, this unit is popular for a reason. It provides a lot of output for the price, and it’s very easy to make work from a space perspective. It’s been a tough choice, but overall we think the best mattress that we’ve recommended is the Leesa for its optimal cooling and excellent pressure relief.